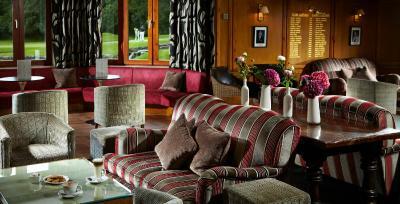 Lock in a great price for The Manor House, an Exclusive Hotel & Golf Club – rated 9.2 by recent guests! A beautiful and extravagant place. One of the few places I've genuinely wanted to find the time to go back and stay there again. Yes it's expensive, but I believe it's very much a case of getting what you pay for. This was the highlight of our stay in England! The Manor House itself is full of historic details and the estate grounds are beautiful. We stayed in one of the cottages- the Dolittle - which was very comfortable. We stopped at the White Hart pub (a local pub) for dinner and drinks which were absolutely outstanding, and the bartender was wonderful and incredibly knowledgeable about the history of Castle Combe. Wish we had more time there and look forward to coming back. It was absolutely lovely and I highly recommend it. The main house and gardens were huge, gorgeous, and like stepping back in time. The whole village was a journey back in time. We stayed in one of the cottages, absolutely gorgeous, well appointed, large fourposter bed (very comfortable), and the bathroom was amazing, with a large tub and TV, a big shower with side and ceiling sprays, Lots of counterspace (which is rare in Europe). 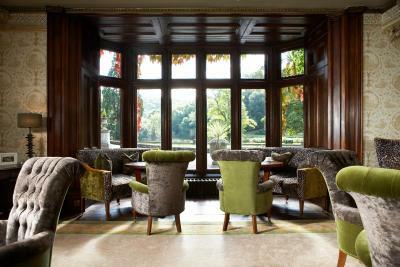 A sitting area, another TV, and beautiful leaded windows with wooden sashes. It truly was like a different era, but with modern conveniences! Louise was such a dream.... polite, professional and welcoming. Stephen Browning was the General Manager and surprised us with an Anniversary Card, Champagne and Truffles in our room. It was a beautiful place from start to finish. I was absolutely perfect. We plan to return and stay for at least a week. Far exceeded our expectations. 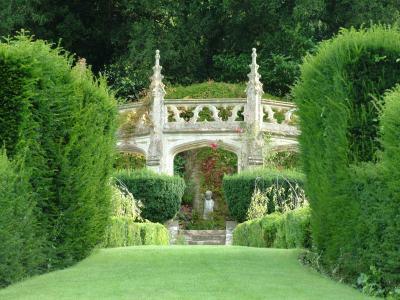 Stunning well kept gardens, beautiful waterfalls and grounds, croquet on the sweeping lawn. 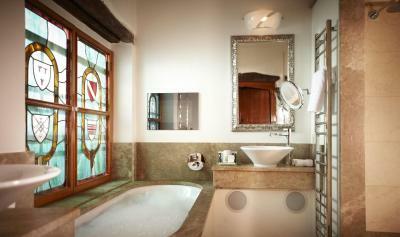 Room after amazing room to indulge inside the Manor for your own personal use. The Architecture of the Manor and Village are spectacular. Stone and Thatched roof Cottages. 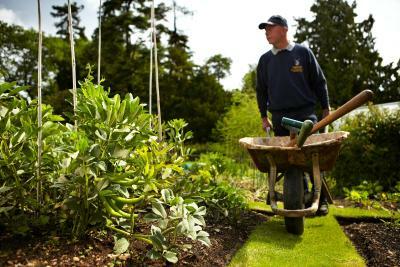 Eat at the Manor House, The Castle Inn or the Wadworth. 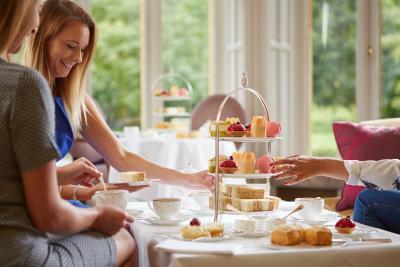 There are Tea rooms in the Village if you wish to schedule High Tea or you can enjoy perfect High Tea at the Manor House. It has an amazing golf course also on the grounds. Professionalism and friendliness of the staff in particular. The service is really good! The staff are thoughtful and very helpful. Taking the initiative always to approach us first if we need anything. I also love the cottage we stayed in especially the bathroom. 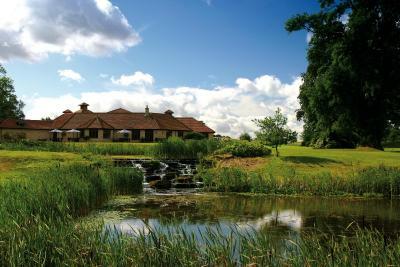 Not just a golf resort; it's an old manor house with an incidental golf course. Couldn't be more pleased. 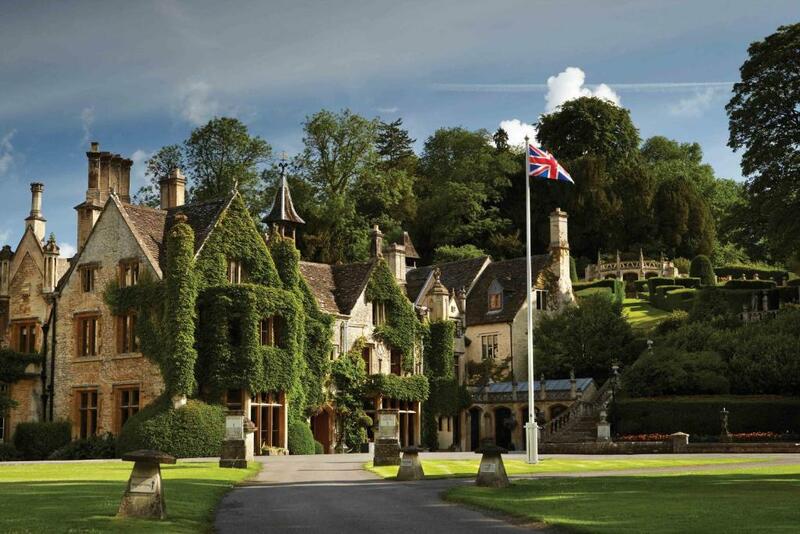 Everything you imagined in an old English country manor. 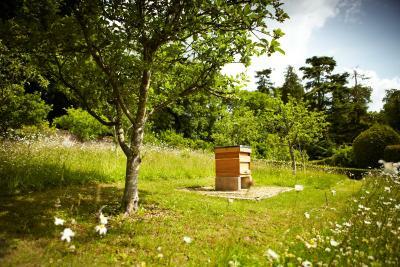 Beautiful location and property. The staff is helpful and our room was wonderful. We enjoyed our high tea and dinner. We didn't have time to explore the walking trails but I would come back when I could stay longer. Very relaxing area! The Manor House, an Exclusive Hotel & Golf Club This rating is a reflection of how the property compares to the industry standard when it comes to price, facilities and services available. It's based on a self-evaluation by the property. Use this rating to help choose your stay! 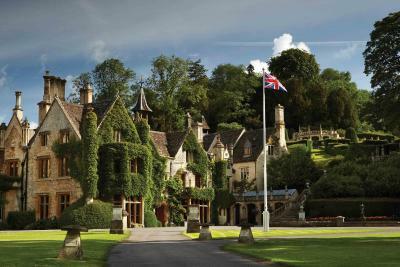 The Manor House is a stunning 14th-century building set in 365 acres of secluded parkland on the outskirts of Bath. 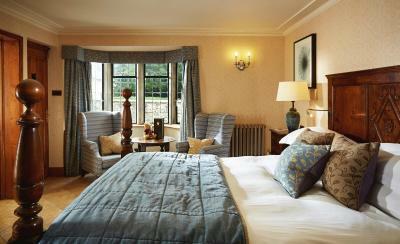 Untouched since the 17th century, the Cotswold village Castle Combe, is home to the definitive country hotel retreat. With 50 individually designed bedrooms, located in either the Main House or the Mews Cottages adjacent to the main building, no two rooms are the same. Rooms are luxurious and perfectly combine the traditional with the modern. 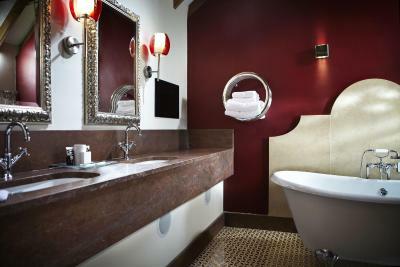 Each room has luxury toiletries, tea/coffee making facilities and a pillow menu. The award-winning Michelin starred Bybrook Restaurant has a diverse, imaginative menu and the hotels very own pub, The Castle Inn, located in the heart of the village, serves traditional pub food from 12:00 until 21:00 everyday. 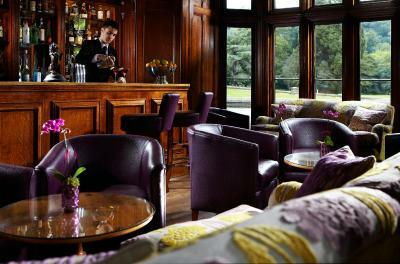 The oak-paneled Full Glass Bar has a relaxing atmosphere. 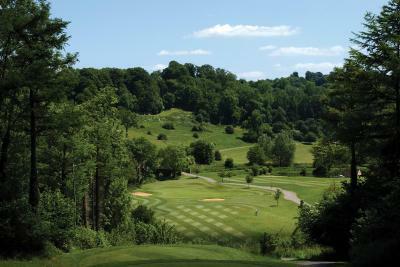 The Peter Allis designed 18 hole Championship golf course is located adjacent to the hotel where residents can take advantage of reduced green fee rates. Guests will also find the hotel's gym here, The Loft. 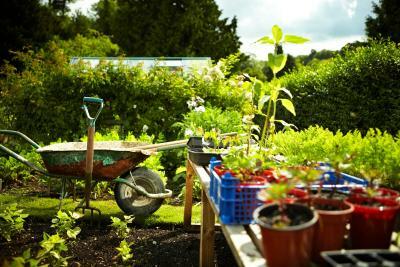 There are many things to do at the hotel including putting, tennis, croquet and fly fishing in season. 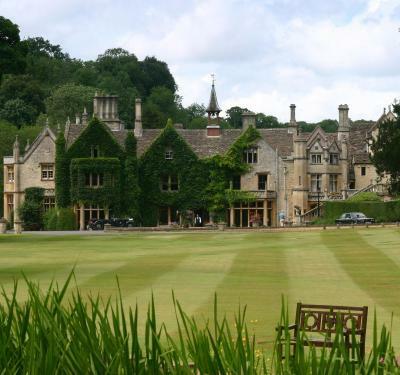 Nearby attractions include Castle Combe Skid Pan 4x4 & Kart Track which is a 5-minute drive away. Bath can be reached in 30 minutes by car and Stonehenge is an hour away. 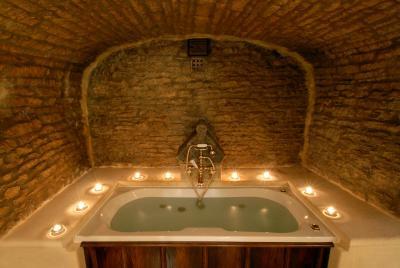 This property also has one of the top-rated locations in Castle Combe! Guests are happier about it compared to other properties in the area. 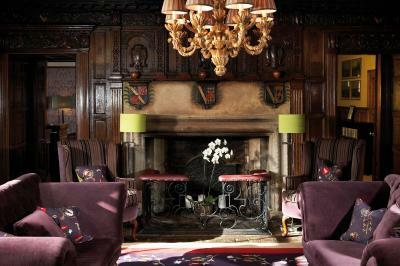 When would you like to stay at The Manor House, an Exclusive Hotel & Golf Club? Located either in the main house or the Mews Cottages, these beautifully appointed rooms with attached bathroom offer a TV with DVD player, an iPod dock and tea and coffee making facilities. Kindly note children and extra beds cannot be accommodated in this room. Luxurious and spacious rooms with an open plan seating area and upgraded amenities. Some of these special rooms boast a four-poster bed, a free-standing bath, a contemporary bathroom, original features, or views of the grounds. Please inform the property if any of the guests are children, so the rooms can be set accordingly. 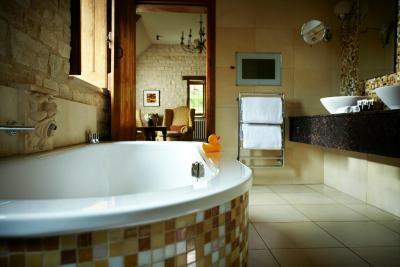 Located either in the main house or the Mews Cottages, these decorative rooms feature a TV with a DVD player. Some of these special rooms boast a four-poster bed, a roll-top bath, a contemporary bathroom, and open fireplace, original features, or views of the grounds. 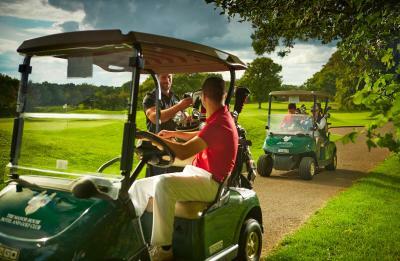 House Rules The Manor House, an Exclusive Hotel & Golf Club takes special requests – add in the next step! The Manor House, an Exclusive Hotel &amp; Golf Club accepts these cards and reserves the right to temporarily hold an amount prior to arrival. The Manor House, an Exclusive Hotel & Golf Club accepts these cards and reserves the right to temporarily hold an amount prior to arrival. If guests will be arriving after 21:00, please notify the hotel in advance using the contact details on your booking confirmation. Please note, children can only be accommodated in the Junior Suite, beds subject to availability. The place has been totally drstroyed with an attempt at slick modernization. It is now a middle market mediocrity. Hated everything about it Will never ho back Yuck !!!!! 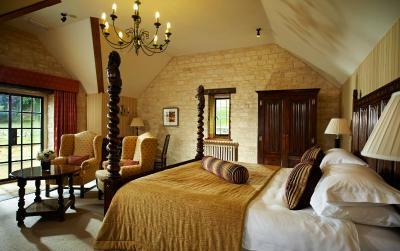 Situated in a beautiful Village Castle Combe, the Manor House provides a great opportunity for a good rest and a pleasant stay in the countryside. 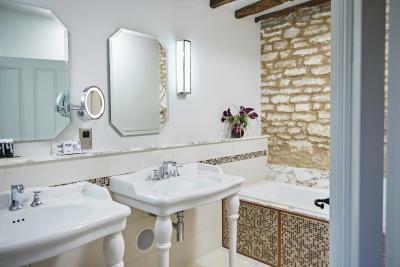 It is clean, well-looked after, has a lot of rooms and facilities to choose from and has a lovely restaurant. Lovely hotel in beautiful surroundings. Very kind staff, specifically the lady in charge of the breakfast. Our 3 year old son really felt at home and was very happy with the tv in the bathroom. Breakfast was superb! Fresh juices, smoothies and really nice egg dishes. Surprisingly, there were no racks or benches for luggage in our well-appointed room, so I put my wife’s suitcase on an ironing board. It stayed there for our two-night stay. We chose not to have dinner in the Michelin-rated dining room because the menu did not appeal to us. The option we tried was unsatisfactory. The next evening we had an excellent, memorable dinner at Sotto Sotto in Bath. Ours was a sentimental return visit after about 40 years. The property is gorgeous and we elected to stay in the historic House itself. The staff is young, vivacious, welcoming and eager to please. Our very large, lovely room was perfectly maintained. Highly overpriced dinner with over fussy service in the Bybrook Michelin restaurant. Comfortable beds. Great showers with rain bars! Yummy breakfast with amazing fresh yogurt! Expensive but of course you expect that for the service you receive plus the quality of the food! 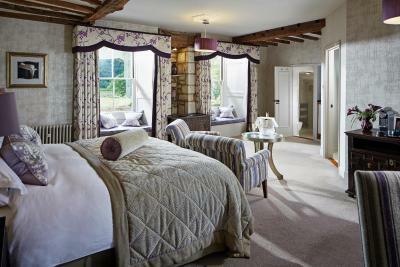 Very attentive staff, beautifully appointed rooms and all round a lovely place to escape. Last year we stayed for our anniversary as we did last night, last year we received a welcome note with chocs and bottle of fizz, lovely touch where as this year we did not. And found out room to be more grand last year with the roll top bath Evan thought we upgraded this year. When your spending a lot of money on a 1 night stay little touches do make your stay. It was only when i got to the hotel I saw a review about the tea and coffee facilities in the room being poor. I have to agree a coffee making machine with not instructions and pods to make tea was a disappointment especially as this hotel isn’t cheap. A kettle would be more suitable. I did look at the cost of tea for room service and was shocked to see it was £5. So I we went with out. It was our 10th wedding anniversary and decided to treat ourselves to a night away In a luxury hotel as a huge treat and break from the children. The property is absolutely stunning in a beautiful village. Our room was huge 30ft long and the staff were very friendly and the breakfast was amazing. We went to The Castle Inn for our evening meal and it didn’t disappoint. The staff were unbelievably helpful and kind. Gorgeous place. Couldn t do enough for us.